Anti-vaccination sentiment sparked by the Dengvaxia mess may have contributed to recent outbreaks of measles, a senior health official has suggested. 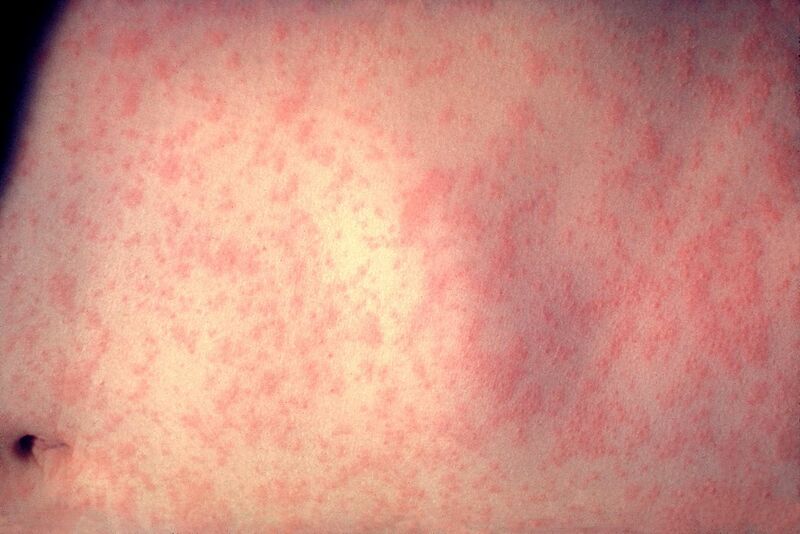 The government has identified four outbreaks of measles — which remains one of the world’s leading killers of children — since December. This period coincides with the controversy over the dengue vaccine, which some parents have blamed for child deaths. The Dengvaxia vaccine programme was suspended last December. The government has threatened to sue Sanofi shortly after the French pharmaceutical giant revealed that it could worsen symptoms for people not previously infected by the virus. Government programmes against other deadly but preventable diseases became collateral damage, with immunisation rates down below 60 per cent in January, Health Undersecretary Enrique Domingo said today (Tuesday, March 6). This compares to at least 80-85 per cent last year, he said. “We have eradicated measles like 10 years ago but it’s coming back due to the low rates of vaccination within the communities,” he told reporters. Asked if lower immunisation rates this year were due to the Dengvaxia scare, he said “partly”, with recent terrorist insurgencies also blocking delivery of medical services to some southern areas. “Before, the children would come to our health centres for their scheduled vaccines. Now we have to seek the parents out and convince them,” he added. Domingo said 17 people contracted measles in a Manila in January but none of them died. Three died in larger outbreaks in at least two areas on the southern island of Mindanao in December. Meanwhile, he said measles outbreaks had been recorded in two cities and five towns on the central island of Negros. Mr Domingo said the health department was actively seeking out children who had missed out on immunisation to prevent the further spread of measles. “We always tell the parents these are tried and tested vaccines and they save millions of lives every year around the world,” he said. The Philippine health department injected some 870,000 people — the great majority of them schoolchildren — with Dengvaxia in four of the country’s most populous regions in 2016 and 2017. Sanofi’s belated disclosure sparked a nationwide panic, with some parents believing the vaccine killed their children. The government suspended the programme and ordered an inquiry which so far has failed to establish a solid link between the vaccine and 14 child deaths. A total of 49 children who were given the vaccine had now died, nine of them from dengue, Domingo said. The underlying cause of these deaths is still being investigated.